Note: Items marked (E) are essential while those marked (D) are desirable. If your qualifications were awarded abroad, you must submit proof of equivalency from NARIC with your application. 2Schools Consortium is committed to equal opportunities and welcomes applicants from groups under-represented in primary schools, for example, men, those from ethnic minority groups and those with disabilities. 1. Can I train to teach in a secondary school? The 2Schools Consortium is only involved in training primary teachers, either Foundation and KS1 or KS1 and KS2. If you are more interested in training as a secondary teacher via the School Direct Programme, you could contact other providers. Information about other providers and eligibility can be found on the NCTL website. 2. Do I need any experience? Prior experience in a school is not required. 3. What if I do not have the minimum requirements? Applicants need to have gained all the required GCSE qualifications or equivalent or be waiting for final results when making an application. 4. Is there any support material for passing the Skills tests? The skills test website has practice papers and a number of books have been published to support applicants. Passing the Literacy Skills Test (Achieving QTS Series) by Jim Johnson and Bruce Bond are all highly recommended. 5. Can I train on the School Direct Programme (salaried) if I have qualified as a teacher overseas? The School Direct Programme is not intended for those who have trained to be a teacher abroad. 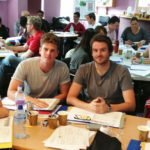 If you are an Overseas Trained Teacher wishing to teach in England, Please look at our Assessment Only Route.